On Monday night, people across the country tuned into the first presidential debate. But as Hillary Clinton and Donald Trump battled it out on TV, the Kardashian-Jenner family was dealing with some serious tension of its own. Seemingly throwing his little sister under the bus, Rob Kardashian leaked Kylie Jenner's phone number to his over 6 million Twitter followers. (Yes, her actual number, according to E! News.) He then wrote an angry tweet about his family not inviting Blac Chyna to the baby shower they threw for him. The next day, this turned into reports that Kardashian and Chyna broke up and that his weight had skyrocketed in the "months" since their split. But before you jump on the bandwagon and assume the worst, Kardashian should be cut some slack. These rumors don't automatically mean his life is spiraling out of control, and even if it was, that's a terrible reason to attack him. That sounds so extreme, right? And that's not the only site featuring rumors about Kardashian's well-being. 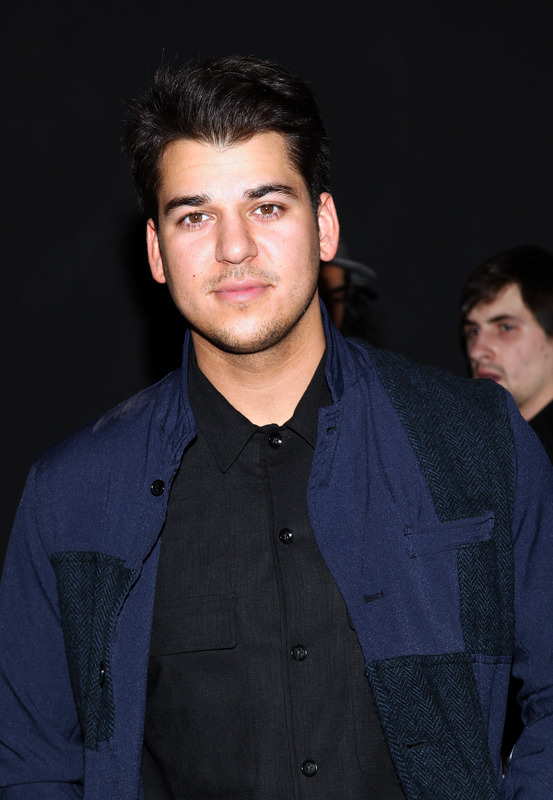 A recent headline on The Hollywood Gossip reads "Rob Kardashian: Fat, In Serious Trouble Once Again." Even if you scroll through the replies to Kardashian's tweet about the baby shower drama, comments include, "you're desperate for attention," "no one likes you," and "take your insulin." There are several responses, too, where people simply call him "fat" — sometimes written in all caps for extra emphasis. "I just wasn't comfortable. I'm 6'1" and at my most I probably weighed 300 lbs. There were cameras at the airport on our trip there and I was very unhappy with the person I saw in all the pictures." Why push someone down, who's already had to build himself back up from such a low point? And if Kardashian is "slipping back into a dark place," as TMZ reported, depression is a serious mental illness and shouldn't be taken lightly. That's the kind of situation that should be treated with privacy and well wishes. Her hashtag #InvisibleIllness could be referencing his battle with diabetes, or it could also allude to his previously mentioned mental health struggles with anxiety and depression. Because he responded so warmly, I'm skeptical that everything could flip so quickly, which makes me even more cautious to believe the negative rumors. Chy and I are not broken up we just feel like it would be a lot healthier for our relationship if we kept a lot more to ourselves. It's impossible to have a positive relationship with so much negativity from the media and outsiders and we would appreciate it if everyone respects that -ChyRo. It's entirely possible that they're just taking some time apart right now, but that doesn't mean Kardashian's life is falling apart. TMZ's recent report said Chyna and Kardashian broke up "months ago." Yet in mid-August, the couple appeared lovey-dovey in a Facebook live chat about the premiere of Rob & Chyna . They knew one another so well, and he's continued tweeting about their relationship as the new episodes have aired. While I don't have all the answers about Kardashian's personal life, it's not fair to jump to conclusions — especially ones that come across as judgmental or insulting. I'm rooting for him to have a happy marriage to Chyna, be a great father, and prove people wrong. To borrow Crocker's wording, I just want everybody to "leave Rob Kardashian aloooone."